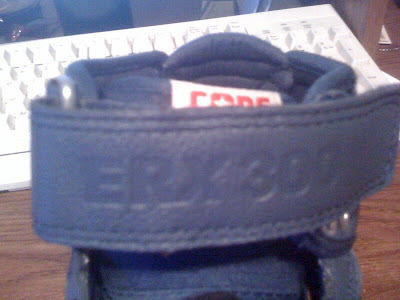 The Converse Blog: CONS ERX 300 Skate Blue/Blue/Blue/Red Colorway. This past week I was fortunate enough to visit Las Vegas for a week long vacation. I returned home with a good deal less of money than I left with. 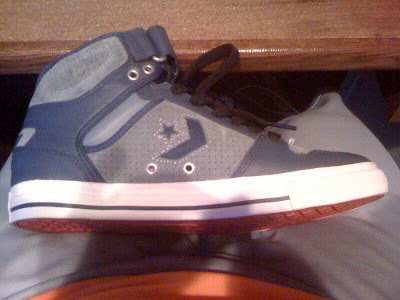 I didn't really lose a lot of money in the casino's, I spent most of my money in the three area Converse stores. 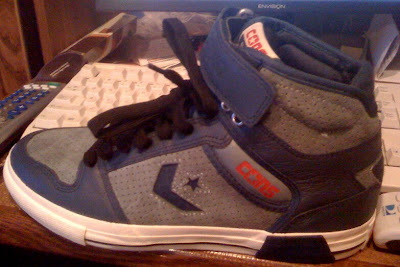 I wanted to go ahead and show you one of the purchases I made, the Converse ERX 300. 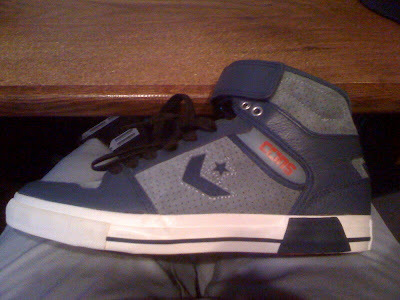 One of the headlining shoes from the CONS Skateboarding. I was really looking forward to picking up some shoes I haven't seen or been able to purchase yet and I personally think that I struck gold with these. I've shown you pictures of the CONS ERX 300 before, but this is a very interesting colorway that I had not seen available in America before. The upper is completely washed in different shades of blue with red accents on the tongue, heel, and outsole. But just seeing pictures of the ERX 300 doesn't do it justice and anyone whose worn them or at least tried them on should agree. The memory foam in the ankle and tongue make this an extremely comfortable high top selection. More to come in the next few days from the trip. Don't forget to vote in the poll as there are only a few days left. Also follow us on twitter @TheConverseBlog. These are great looking shoes. I wanted to buy a pair of them off of Converse's skateboarding website, but you can't get them directly off there. I guess I'll have to find a different site to get them from.